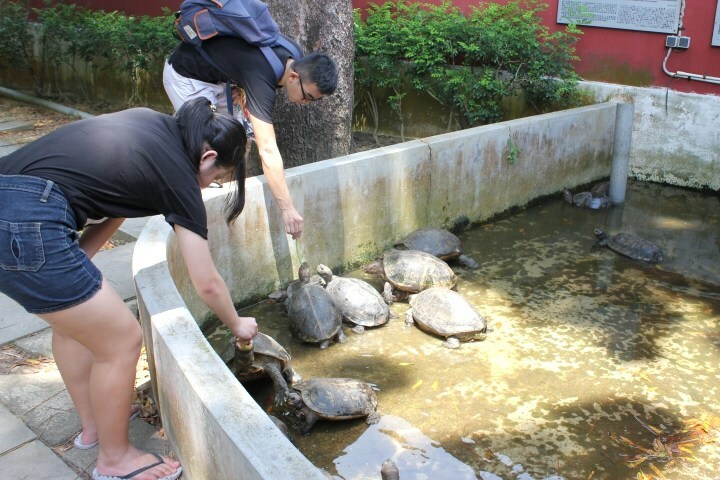 My visit to the Live Turtle and Tortoise Museum in Singapore was a horrific experience. 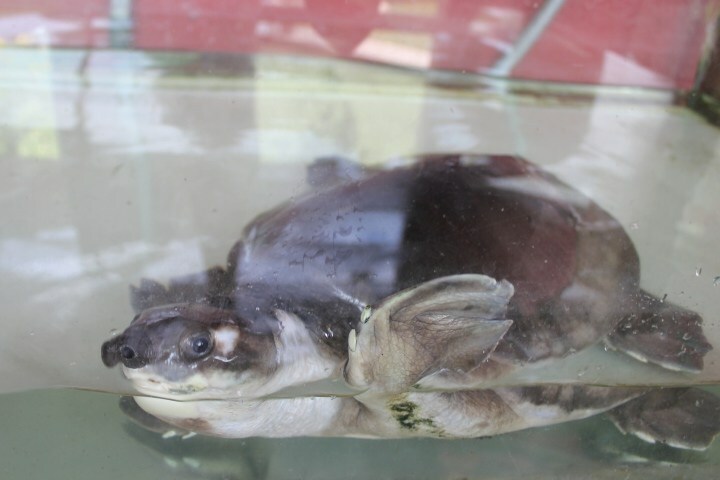 The Live Turtle and Tortoise Museum houses a collection of sad and poorly treated animals, some of which are endangered. It is located in the Chinese Gardens of Singapore. Witnessing such heartbreaking scenes and cruelty to turtles ruined my day. I decided to visit the museum after reading about it on the Time Out website, which described it as a collection of the world’s rarest turtles and tortoises that was opened in the hopes of educating the public about carapaced creatures. I am disgusted that Time Out would promote such a sad institution. 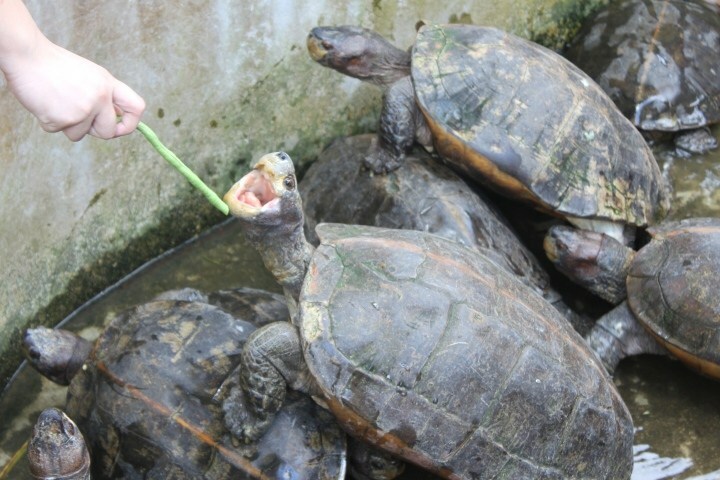 It costs $5 to enter the Live Turtle and Tortoise Museum and you can buy some greens to feed the animals. 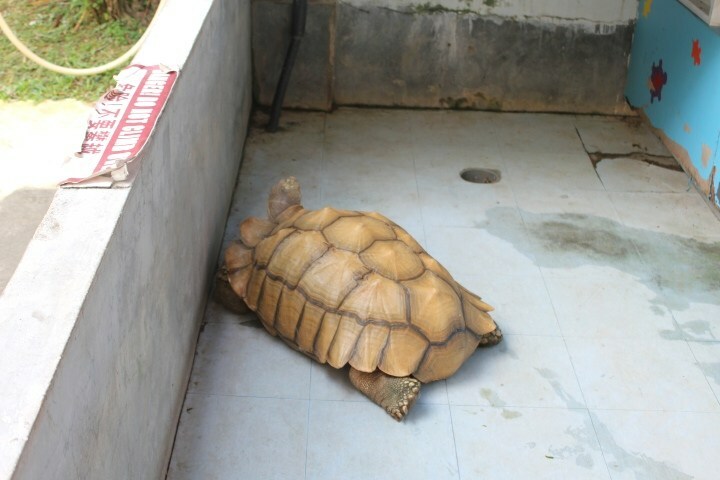 Most of the tortoises are housed in concrete pools that don’t contain any food or water and many are in isolation. Singapore’s weather is hot and humid and the tortoises were all hiding in their shells at the very corners of their boxes to avoid the midday sun. The world’s largest river turtle is also housed in one of these boxes and named as the Fortune Turtle by the museum. Visitors are encouraged to throw a coin into the water for good luck. Sadly, all the water has evaporated and the poor turtle sits amid a litter of rusty coins in this bare concrete box. I watched as some tourists tried to feed him but he appeared too depressed to eat and just hid his head in his shell. 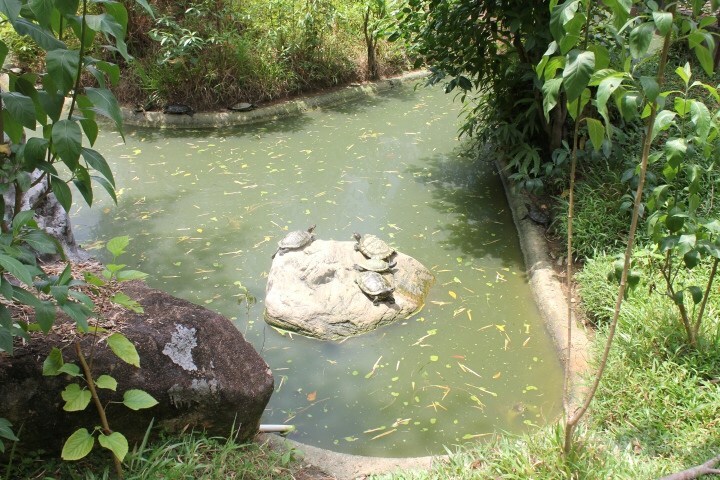 The Live Turtle and Tortoise Museum also has a lot of water tanks where more turtles live. 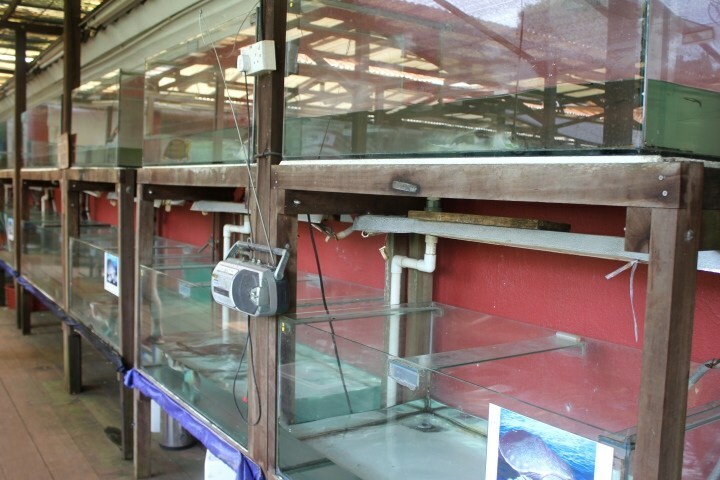 These tanks are tiny and a single medium turtle lives in one in isolation and with barely enough space to roam around. I felt particularly despondent for the pig nosed turtles who flap their flippers wildly and look out at you from their tanks whenever anyone walks by. This breed of turtle is known to be extremely active and they require spacious environments. 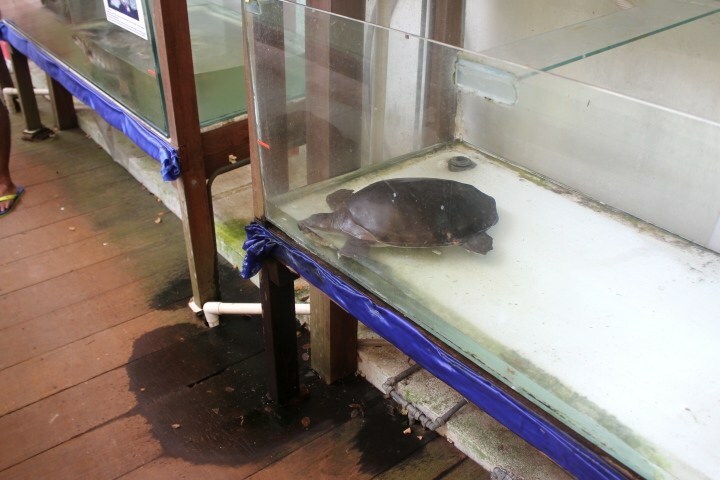 A few of the pig nosed turtles appeared to have flippers that were injured with the nails broken. One of the tanks had leaked all of its water out onto the floor and the poor turtle had stopped moving and his nose was in the fraction of water remaining in the corner. It was obvious cruelty and I told the lady at the desk the turtle needed help but she brushed me off with the excuse that they were just cleaning the tank and his water would be refilled soon. In the centre of the museum is a large pond where a lot of turtles live more freely and I believe they have a better quality of life. However overall I found this museum to be very sad highlighting such cruelty to turtles and I was disappointed to witness such scenes in Singapore. Please join me in the push to improve conditions for these wonderful animals by complaining to the museum directly at sales@turtle-tortoise.com and by notifying the Society for the Prevention of Cruelty to Animals in Singapore. 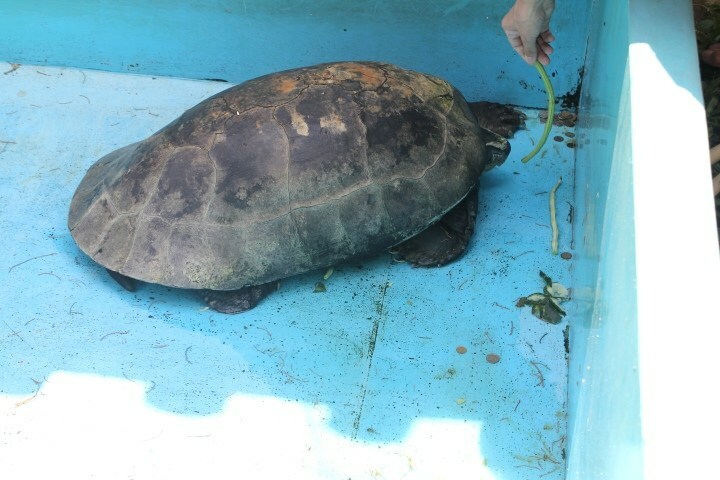 Turtles live very long lives, sometimes more than 100 years. 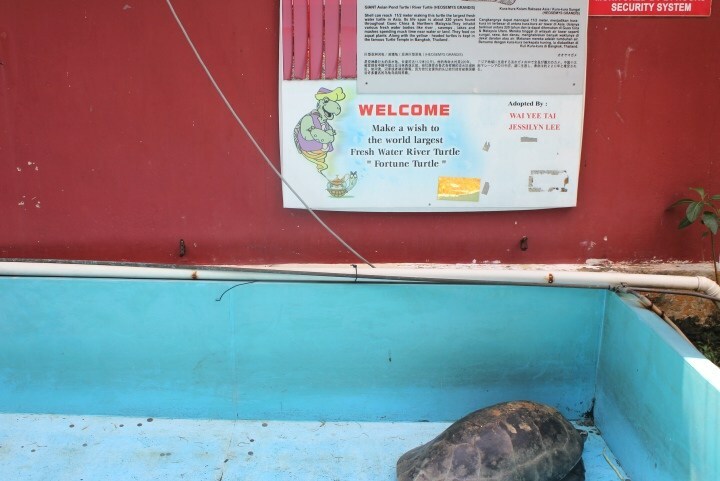 To be trapped for years and years at the Live Turtle and Tortoise Museum would be extremely cruel.